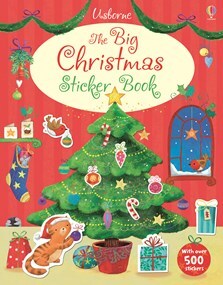 A beautifully illustrated, bumper activity book packed with festive sticker fun. With over 500 stickers to decorate a house with fairy lights, make Santa and his reindeer soar over snow-covered rooftops, add delicious treats to a Christmas market stall and lots more. This festive activity book will keep children busy for hours during the run-up to Christmas.